Martin chose SeoSamba, the international SEO and digital marketing firm, for its digital design and marketing expertise and capabilities. Payroll Vault, which has been featured in Entrepreneur Magazine and Franchising Today Magazine, has quickly benefited from an automated search engine optimization technology built in SeoSamba’s open source website builder, SeoToaster. 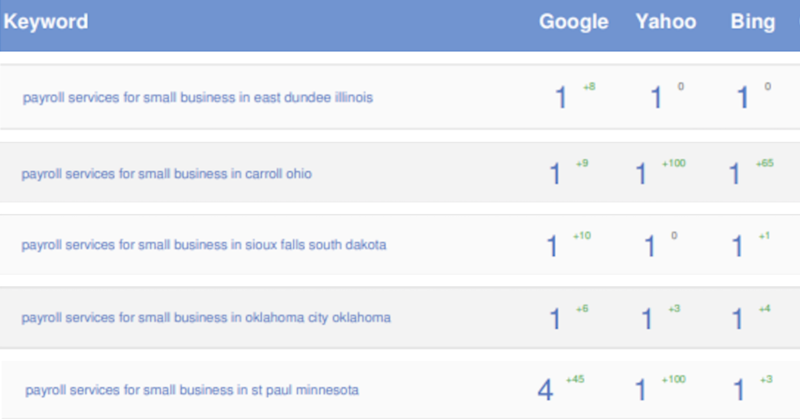 In a short period of time, the site has reached new heights with Google search rankings. At bare minimum, the website has reached TOP positions for at least 31 queries, the TOP-5 for 39 queries and the TOP 10 for at least 40 queries. SeoSamba’s Founder and CEO Michel Leconte, says he’s thrilled about welcoming Payroll Vault in the growing family of franchising brands using SeoSamba’s suite of software and services.